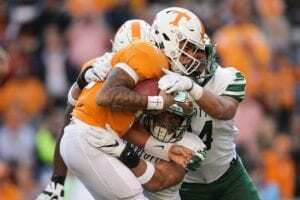 Tennessee walks away with a win, but closer than they would have liked after defeating the UNC-Charlotte 49ers 14-3 in Neyland Stadium on Saturday. 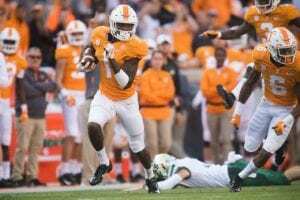 The Vols struck first with an 82-yard punt return courtesy of wide receiver Marquez Callaway halfway through the first quarter. Jarrett Guarantano added a 16-yard touchdown pass to Josh Palmer in the corner of the end zone before the end of the first quarter to extend the lead to 14-0. Despite getting out to a quick 14 point lead the offense began to slow down. Callaway believed that may be attributed to overlooking the opposition. “I think a lot of us underestimated Charlotte,” Callaway said. The 49ers would get on the scoreboard with a 20-yard field goal right before the end of the half. Going into halftime the Vols could not beat the sixth ranked run defense in FBS of the 49ers totaling zero rushing yards. Coach Jeremy Pruitt said the team was not surprised that the 49ers run defense was stingy. “We’ve struggled to run the football all year, so I don’t know why this game would be much different,” Pruitt said. The second half was a game of chess between both team’s punters flipping field position for the opposing offenses. The Vols punted on four possessions in the second half and missed a field goal to go with it. As for the 49ers they punted four times in the second half as well and had three 3-and-outs in the game. Through the air Guarantano was able to find success going 16-21, 172-yards and one touchdown with a passer rating of 160.7. On the other end of Guarantano’s passes was a total of eight different receivers with Palmer racking up four receptions for 71 yards and a score. Despite the success Guarantano had, it did not come without a price. He picked up hit after hit, but was still able to stand in the pocket and make big throws down the field. On the other sideline, the 49ers were able to hang around in the game due to their defense stopping the Vols’ offense. Their defense was led by defensive end Alex Highsmith who tallied seven total tackles, 1.5 sacks, and four tackles for a loss. As for the 49ers offense, quarterback Evan Shirreffs went 13-25, 152-yards and an interception at the end of the game to put the nail in the coffin. On the ground the 49ers rushed for 92-yards with Lemay Benny leading the charge going for 81-yards off of 24 rushes. 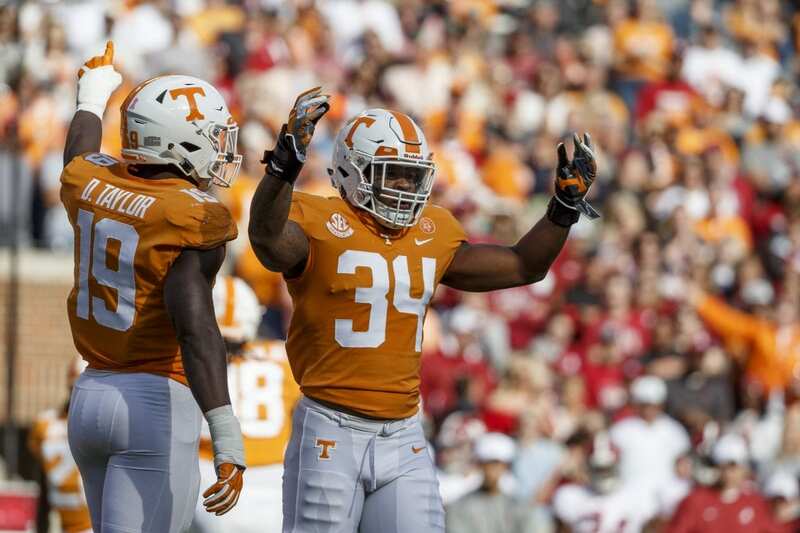 With the win the Volunteers improve their record to 4-5 on the season and will host the 7-2 Kentucky Wildcats next Saturday at Neyland Stadium.